Times Square on New Year’s Eve is a popular place to be. 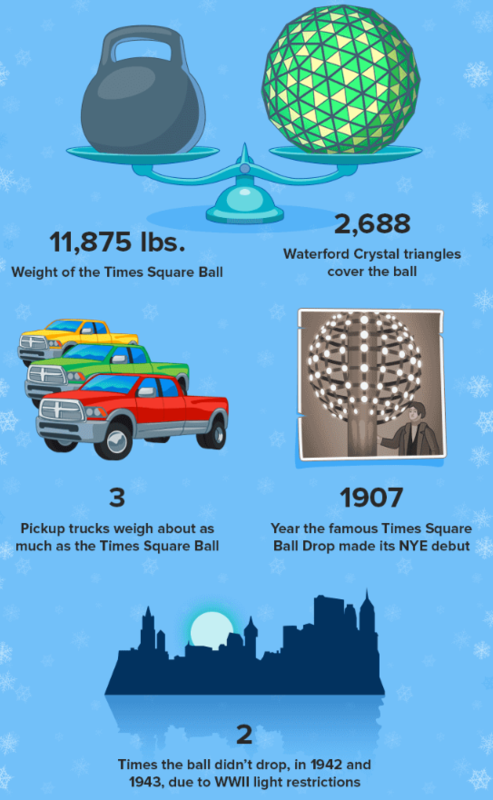 The average attendance of NYE in Times Square is 1 million people. The average cost for a couple to enjoy dinner and a show on December 31st in New York City is $1,160, making it the most expensive city. Click here for more New Year’s Eve statistics.